If you have a coat closet that is stuffed with coats, empty bags, shoes, trash, and other odds and ends, I suggest it’s time for a “coat closet makeover”! Sometimes using coat closets for coats isn’t the best way to use the space. I personally use our coat closet as a “toy closet”. After adding free-standing shelves and an over-the-door shoe organizer (yup, one of my all time favorite organizing tools), the toys are neatly stored and organized in clear, plastic bins and in a convenient location for my little ones to get to. Just when you thought you didn’t have a spare bedroom for your hobbies or that office you always wanted, now you do! Or transform these closets by removing the door and adding a bench and some coat hooks. Make it into a tiny mud room or sitting area. 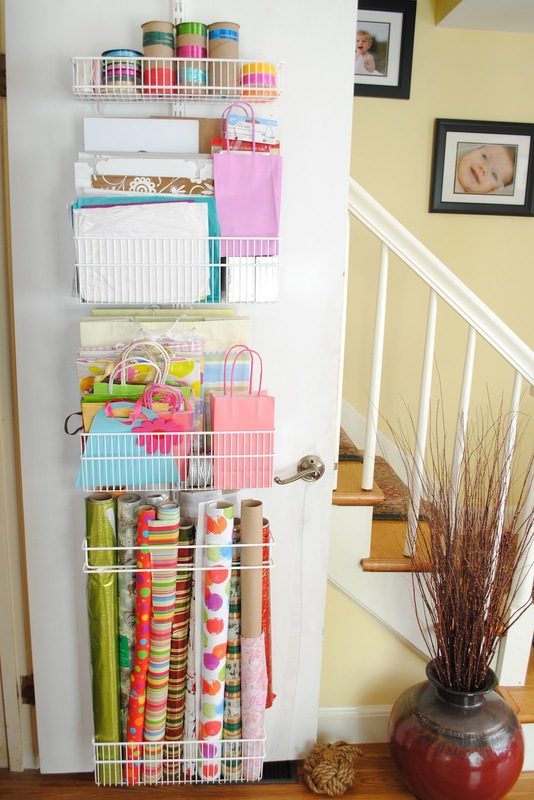 Give your coat closet a full make-over and transform it into a sewing room or craft room or wrapping station or library or utility closet or office computer room or my personal favorite…. a Life Management Center. Don’t let this often forgotten about space be wasted. There are so many possibilities.